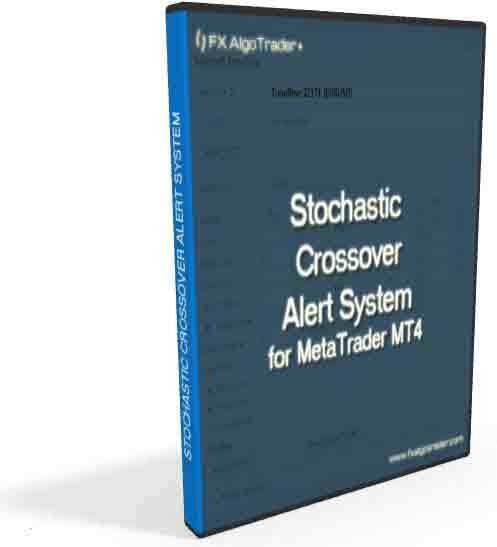 The Stochastic Crossover Alert Tool is a highly configurable MT4 indicator which uses a hybrid JavaFX control interface for ultra fast parameter changes. The Java FX control interface provides completely unrivalled parameter control compared to standard MT4 indicators. Using the JavaFX approach allows the trader to control any FX AlgoTrader JFX product from a single interface! As soon as the trader clicks on a chart running any JFX product the interface automatically loads the control settings for the specific indicator. Stochastics are technical momentum indicators which compare an asset's closing price to its price range over a given time period. 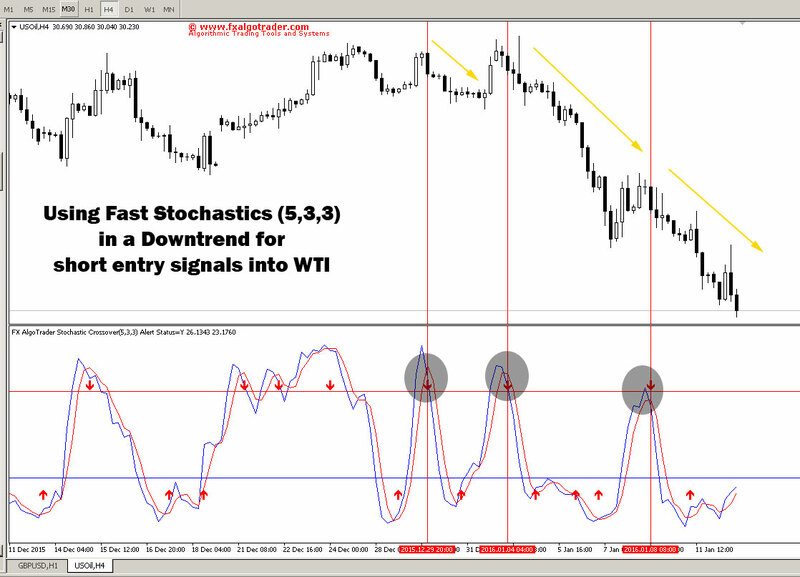 Stochastics are oscillators and their sensitivity can be controlled by adjusting the time period or using a moving average of the result. The %K line is often referred to as the Fast Stochastic and the %D the slow stochastic. Crossovers occur when the %K line intersects the %D line. When the %K line crosses over the %D line, this is viewed as a buy signal. When the %K line crosses under the %D line, this is viewed as a sell signal. Divergence refers to the difference between the %K line and the %D line - an increasing divergence can provide a signal of a reversal. Overbought / Oversold - when the %K line moves above 80 the asset is considered overbought and a reversal is more likely. When the %K line moves below 20 the asset is considered oversold and, equally, a reversal is more likely.